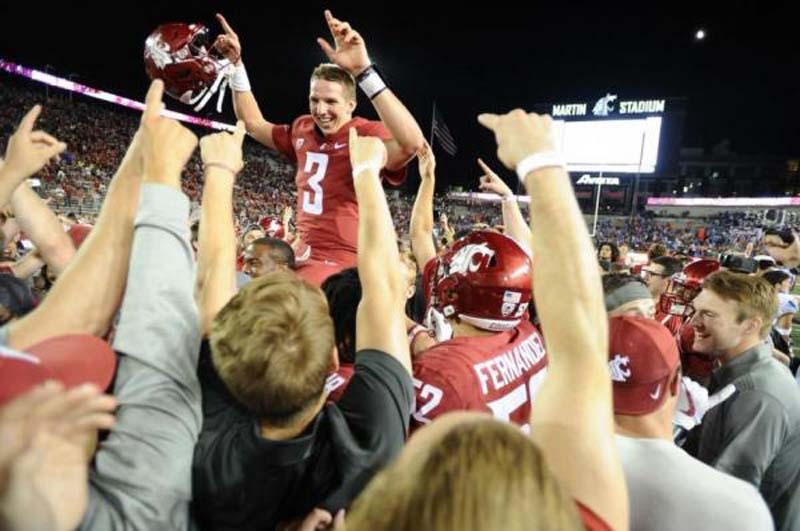 The parents of former Washington State quarterback Tyler Hilinski said an autopsy performed after his January suicide showed evidence of chronic traumatic encephalopathy (CTE) in his brain. Mark and Kym Hilinski said Tuesday on NBC's "Today" that the Mayo Clinic conducted the autopsy on their son, who was found dead in his residence on Jan. 16. He was 21. Police said the younger Hilinski shot himself in the head with a rifle that belonged to a former teammate. The autopsy findings showed Stage 1 CTE, the lowest level of the disease. "Did football kill Tyler? I don't think so," Kym Hilinski said in a Sports Illustrated documentary about Tyler's life, per Today.com. "Did he get CTE from [playing] football? Probably. Was that the only thing that contributed to his death? I don't know." Mark Hilinski said on Tuesday that the medical examiner determined Tyler "had the brain of a 65-year-old, which is really hard to take." Washington State said in a statement to "Today" that it has enhanced its protocols for football players, including a second formal mental health screening and meetings with players "who might be at risk for mental health issues." Listed at 6-foot-3 and 213 pounds, Hilinski saw action in eight games last season and threw for 1,176 yards with seven touchdowns and seven interceptions. Hilinski completed 154 of 209 passes for 1,421 yards with nine touchdowns and eight interceptions in two seasons in a backup role to Luke Falk, who completed his college career this season as the Pac-12's all-time leader in passing yards (14,486) and touchdown passes (119).